The Business Development Manager reports to the Director of Business Development (DBD). S/he provides business leadership and is responsible for supporting business at the branch level including review the business proposal from branches, visiting potential agro-enterprises and liaising with business development department. Promoting the role of PASS Trust during the meetings with partner institutions, stakeholders, Potential clients etc., reaching them by distributing different promotional materials like handouts, posters etc. In close liaison with the DBD, plan the Business operation program for PASS in accordance with overall PASS strategy, annual business plan and ensure that key performance indicators are met or exceeded. 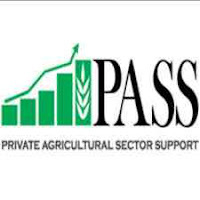 Proactively build and maintain effective working relationship with all agricultural/agrobusiness stakeholders in all area of PASS operation to develop the visibility and growth for PASS business. Follow up, support and liaise with PASS Branches to ensure effective business growth and efficient relationships with bank officers at branch level, establish new businesses, business plans preparations and efficient submission of business plans to banks. Assist the branches in identification of demand for assistance and support from target groups in accessing finance from banks. This will cover SME’s in Primary and Secondary agriculture including agro-processing. Ensure timely submission of various periodical operation reports, operational results as required for the monitoring and evaluation framework. Assist branches in design and establishment of feasible models of activities at the smallholder farmer’s levels, including diversification of crops, improvement of production practices etc. improving on proposals into business plans of acceptable standards. Making proposal for corporate clients in agribusiness looking for PASS Support to obtain credit facilities from collaborating banks. Identification and preparation of solution for solving bottlenecks in agricultural value chains e.g. production, market access, processing, appropriate mechanization etc. Assist agro -enterprises clients to obtain credit facilities from collaborating banks. Monitoring the performance of the clients in relation to respective business plans and budget. Planning, organizing and managing the Trust’s marketing events such as sponsorship/donation, new product launches, outlet opening, annual reports, press releases, announcing the Trust’s outreach and impact to community and other activities that the Trust supports to gain public attention through media. A business development specialist with good knowledge /Experience in Tanzanian agriculture and agribusiness development, with maximum experience in 6 years in business planning, project analysis, evaluation and monitoring. extensive experience in business analysis. Must demonstrate experience in credit guarantee schemes and other financial or nonfinancial business development services required to accelerate investments in small and medium scale farming and agro enterprises. Knowledge in agricultural financing and experience in facilitation of lending to smallholders including experience in negotiating with banks. Adequate experience in agricultural supply chain interventions for enhancement of small/medium scale agricultural development. Should have hands on experience in business planning and project appraisal; familiarity and use of tools for agricultural and investment projects analysis is essential. PASS Trust is an equal opportunity employer and the position is open to all qualified candidates should submit a CV and cover letter explaining how the experience detailed CV in the will contribute to the requirements of the position. The CV and cover letter should be sent to [email protected].or.tz . on or before 12th April, 2019. Unfortunately, due to the large volume of applications we receive, we will not be able to respond to each individual candidate. Women are strongly encouraged to apply. only shortlisted will be contacted.